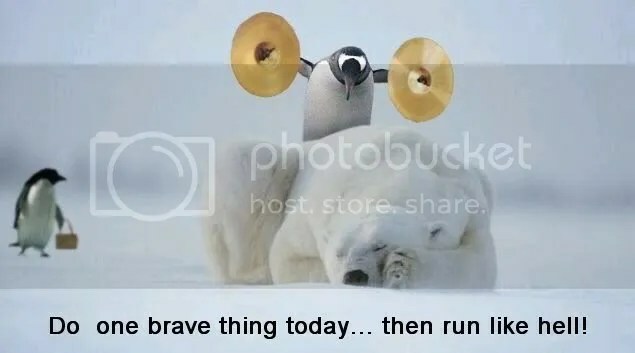 Things are pretty crazy up in the North Pole, where fierce polar bears stalk the ice frozen lands and the penguins roam pranking everything in sight. And sometimes these two forces meet! Based on the picture above provide us a caption that is sure to delight!